How much do you think you know about livestock water? Test yourself by taking the Cattle Water Quiz. Select the radio buttons with the best answers. Once selected, answers cannot be changed; but you can reload the quiz at any time to start over. Have fun and come back as often as you like to retest yourself. The amount of water your cattle need to drink in a single day. The maximum flow rate in the water line at the well head or pump while the cattle are drinking. The minimum flow rate at the water trough to prevent long wait times when cattle come to drink. The maximum flow rate at the trough to supply water during the hottest time of the year. 2. Planning Scenario: A farmer is planning her electric fence and livestock water layout for a grass-fed beef ranch and has determined that her topography and soft soils are not suited to a mobile cattle water tub. Instead, she will build water alleys that lead to a few central water sites. Which of the four choices below would NOT be an essential part of an electric fence grid with integrated cattle water alleys if it is built according to the advice provided in The Smart Electric Fence Grid article series? Swivel-lock electric fence insulators on all permanent interior electric fences. Single-wire electric fences, with the wire approximately 30 to 36" above ground-level. Permanent gates spaced at frequent intervals along the full length of each water alley so the cattle can access the water alleys from anywhere in the pasture rotation. Water alleys along every second permanent electric fence-line in the electric fence grid. 3. If you design a mobile cattle water system, where should the water trough valve for your mobile tub be located? At the bottom of the trough with a flexible float attachment. At the rim of the water trough, designed with a stiff float arm to control water flow, similar to the float systems used in traditional toilet bowls. Under a protective cover inserted over the water trough valve to protect it from cattle contact. In the center of the trough, out of reach of your cattle. 4. Which of the four statements below is FALSE for a cattle water system that uses a permanent central water site to supply water to the pasture rotation? If water supply is adequate to meet daily cattle water requirements, but flow rates are struggling to meet peak demand, a larger trough size can be used as one of several available strategies to boost flow rates at the trough. The water corral surrounding the trough must be sized so your entire herd can fit comfortably inside the corral. 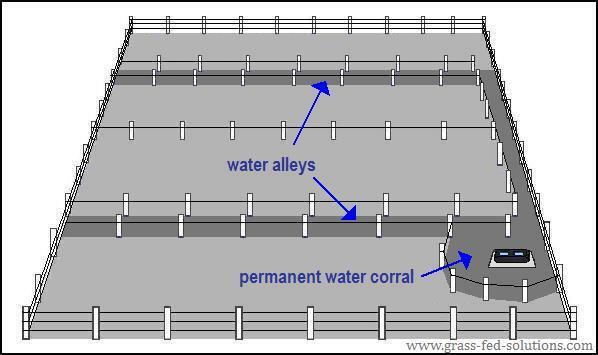 Permanent water troughs should be located on well-drained high ground, with level access from the ground onto the concrete pad upon which the trough is built. Water sites should always be constructed within sight of the pasture rotation so cattle can see their water source from where they are grazing. 5. Which of the four choices below is a strategy for keeping troughs ice-free during the winter months without access to power? C. Insulated water troughs that rely on water use from drinking cattle to bring fresh water into the trough and keep the trough ice-free. D. Insulated trough designs that extend far below the frost level to circulate water (or air) to make use of latent heat in the ground. 6. Cattle weight gains are directly affected by how much water cattle drink. Which of the choices below could cause the cattle to reduce how much they drink and consequently reduce cattle weight gains? A. Brackish, dirty, or algae-rich water. B. Slow trough refill rates. C. Competition for access to the cattle water trough. D. Pasture grass that has dried out (low moisture, dry feed source). 7. Which of the four choices below is NOT a valid strategy to train cattle to eat snow for their drinking water needs during the winter pasture rotation? Once there is lots of fresh snow on the ground, turn off the livestock waterer to force the cattle to start eating snow. Graze progressively further away from the water source until the cattle voluntarily switch to eating snow because the walk back to water becomes too tedious. Monitor tracks back to the livestock waterer. It is safe to turn off the cattle water trough if a full week or more goes by without any fresh tracks leading back to water. Cattle are lazy - training cattle to eat snow is simply about making it more convenient to eat snow than to walk back to water. 8. Which of the choices below best describes the management strategy for reducing disease pressure from waterborne diseases during the spring thaw? A. Minimize walking distances to the water trough to reduce the temptation of drinking from puddles. B. Set aside a dedicated pasture for the spring thaw period that that has well-drained soil and lots of high ground to avoid unnecessary exposure to standing water in the pasture. C. Make sure the livestock water trough is easily accessible (no muddy or icy approaches, or steep steps up onto a concrete pad) and that the trough has lots of space for multiple animals to drink simultaneously so cattle don't have to wait in line. Good clean water has to be so convenient that you remove the temptation to drink from dirty puddles underfoot. None of the above - it's always best to remove cattle from pasture during the spring thaw and hold them in small feed pens with bedding areas until the ground dries up. 9. Planning Scenario: A farmer needs a cheap mobile pumping solution for his pasture rotation - the distances involved make water alleys and permanent water sites unfeasible for this farmer's situation. A stream that runs parallel to the entire pasture rotation, approximately 75 feet below the level of the flat pasture-land, at the bottom of a steep wooded ravine. The stream runs reliably year-round and has a steep gradient throughout, but is only ankle deep with very boggy stream banks. There is no power available and cattle are not allowed direct access to the stream or to the sensitive wetland ecosystem at the bottom of the ravine on either side of the stream. Which of the five choices below is the best pumping solution for this scenario to get water up to a mobile water trough located in the pasture, not down in the ravine. Animal-driven pump (powered by animals pushing aside an obstruction to reach the water bowl. 10. 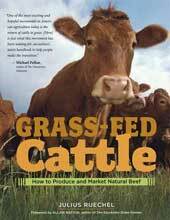 Planning Scenario: A farmer has noticed that the cattle weight gains in her 450-head stocker cattle herd are far below expectations. She has calculated that her water source is capable of meeting her cattle's daily water requirements, but flow rates are insufficient to meet peak demand. Consequently, her cattle spend all day lounging around in the water corral instead of out grazing on pasture. Her central water site is supplied by a well that is 2 miles away via a 1"-diameter underground pipe. The well is already maxed out at full capacity at 6 GPM and the water lines are currently pressurized at 60psi (typical household pressure). The closest power is 2 miles away at the well. Which of the four choices below is the best solution to increase flow rates at the water trough to meet peak demand. Increase water pressure to 120 psi to increase flow rates. Dig up and replace the water lines with 2"-diameter pipe to increase flow rates and reduce friction losses inside the water lines. Dig a second well beside the first one to increase pumping capacity. 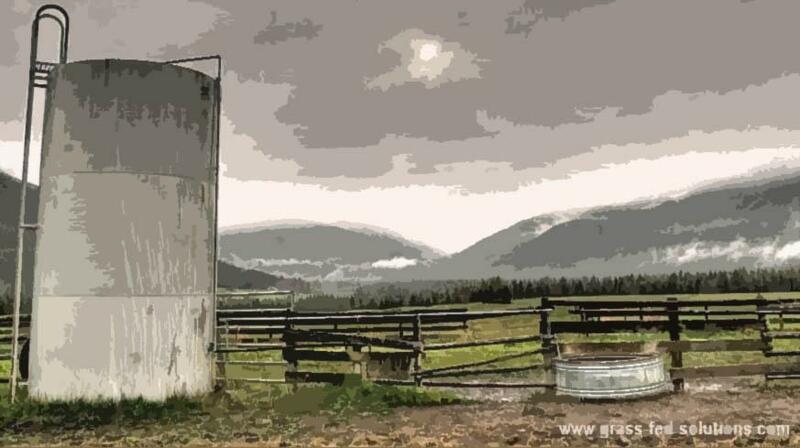 Install a large 8000 gallon on-site water storage tank beside the water trough. Use the tank to gravity-feed into the water trough at high flow rates. Install a float system inside the tank to shut off water from the well when the low flow rates coming from the well finally fill the tank to full capacity.